We shall not be hold responsible for the improper use of our product(s). For HP Envy TouchSmart 17t. Size:17.3 " Touch Digitizer (NO-Bezel). Fit laptop models. (You need to Pull Off the Power Adaptor & Battery Cable when install). (You need to Pull Off the Power Adaptor &Battery Cable when install). 15.6" FHD LCD LED Touch Screen Digitizer Assembly For HP ENVY x360 15-BQ213CL. 14" Touch Screen FHD Display Digitizer Assembly For HP Pavilion x360 14-BA046TX. 15.6" FHD LCD LED Touch Screen Assembly Digitizer For HP ENVY x360 15-bq102ng. LCD hinges for. HP 15-BS 15T-BS 15-BW 15-BR. DON'T order the parts based only on Laptop model No. Dispute & Claim. 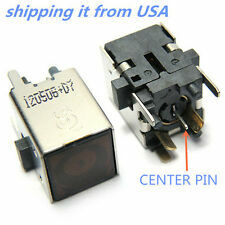 Compatible Model: HP Envy 15-k075er 15-k075sr 15-k250ur 15-k251ur Laptop. If you buy the wrong products, plese inform us as soon as possible. HP Envy X360 15-BQ Series. HP Envy X360 15-BQ000 Series. HP Envy X360 15-BQ008CA. HP Envy X360 15-BQ051NR. HP Envy X360 15-BQ075NR. HP Envy X360 15-BQ100 Series. HP Envy X360 15-BQ175NR. HP Envy X360 15M-BQ Series. 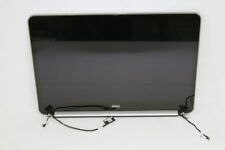 Screen :Dell XPS 13 13-9343 9350 13.3" QHD LCD LED Full assembly Touchscreen Digitizer Size : 13.3" Resolution : 2560*1440 QHD DP/N: Condition : Direct from manufacture 100% COMPATIBLE Replacement Screen Display (LCD screen display) LCD Screen used on this laptop model could be from different manufacturers. For most of models, the lcd screens are compatible with each other. By purchasing a compatible screen, we are able to offer you the lowest price product. Please match your original screen's BACKLIGHT TYPE, SIZE and RESOLUTION before you make the purchase. (Some laptop models come with more than one type of screens.) Backlight Lamp :LED Product Type : Complete Screen Assembly. Size: 15.6" WXGA. LCD Information A laptop contains variety of LCD screens from different manufacturers. For most of models, the LCD screens are compatible with each other. Backlight Type: LED. Compatible models: HP Touchsmart Lavaca3 TS 520's ENVY 23 Omni 23 27 AIO (please compare the picture before order) Package include: DC POWER JACK FOR HP Touchsmart Lavaca3 TS 520's ENVY 23 Omni 23 27 AIO* 1EA Brand Unbranded MPN 688938-001 UPC 646690573563.